Every year around this time I face a conundrum. Don’t you just love that word? Conundrum. Ahem…anyway, here’s my conundrum (I just had to work it into a sentence again!). Everyone gives each other gift cards. And, while I really love receiving gift cards, I REALLY don’t like giving them. So, I always try and include something more personal when I give a gift to help offset those less personal plastic things that I shove into a box or gift bag. 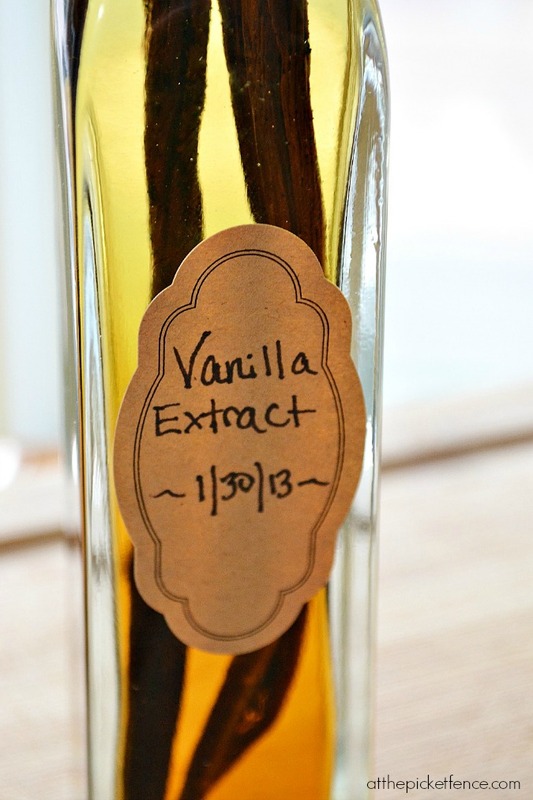 Something handmade…or homemade…like this Homemade Vanilla Extract! Now, this just also happens to fall into the ‘under 5 minutes’ category which makes it perfect for our regular Friday 5 Minute Crafts series! While doing my very scientific research about Vanilla Extract (which consisted of typing the words into my search box and hitting enter) I discovered a critical piece of information. 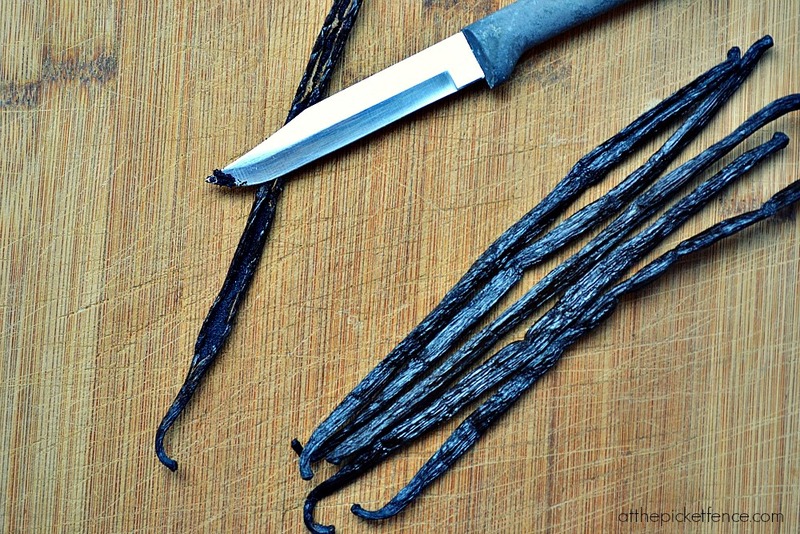 Vanilla beans can be really expensive. And you need quite a few of them to make vanilla extract. 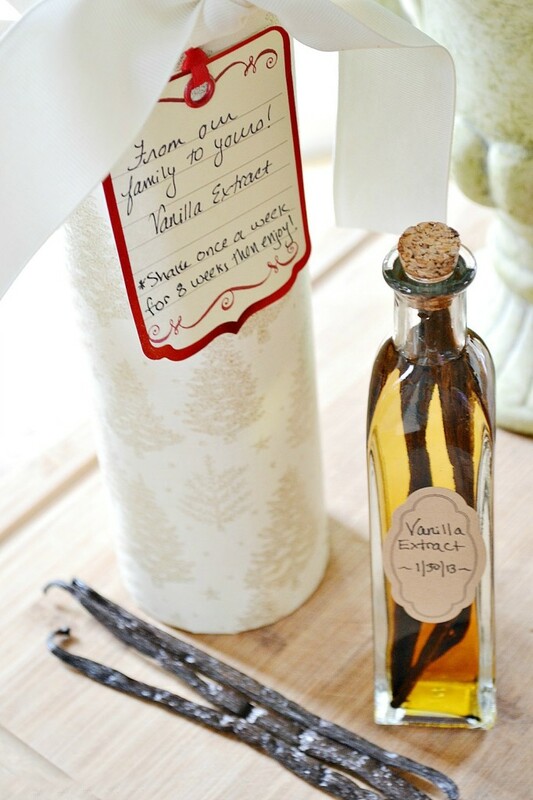 But, I was determined to make vanilla extract so I shopped around to find vanilla beans that wouldn’t turn this budget friendly project into a budget busting one. One option is to order them online which I totally could have done if I had thought ahead but frankly that isn’t something I’m doing very well lately! As it turned out, our favorite little local farmer’s market carries them and at $1.25 apiece I felt I could still reasonably make this a simple and inexpensive gift. 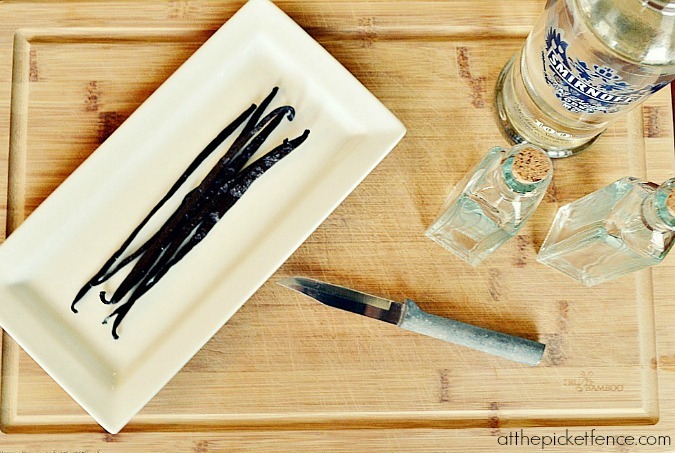 To make the extract, simply cut the vanilla beans (I used 2 beans per bottle) to fit the size of your bottle and then, using a sharp knife, split open lengthwise to reveal the inside. That’s where all the flavor lives! Be sure to be careful not to cut through the bean completely. 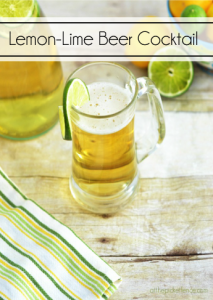 In order to keep from just making vanilla flavored vodka (which is definitely going to be my next creation! ), I used the smallest sized bottles I could find. I placed the vanilla beans inside and then filled the bottle with vodka until the tips of the beans were covered. I gave it a shake and within a few hours it was already turning this gorgeous color! Simple little labels were added and include the date when the extract will be ready. In keeping with my inexpensive attempt at creative gift giving, I decided to do some re-purposing in order to package my homemade vanilla extract. I always save these chip containers never really knowing what I’ll do with them. Do you do that too? My kids keep thinking we have tons of chips in our house! They were the perfect size for my little bottles but they definitely couldn’t stay purple, now could they? Covered in wrapping paper and tied off with a creamy grosgrain ribbon you would never know they once carried a stack of chips that lasted all of 3 days in my house. 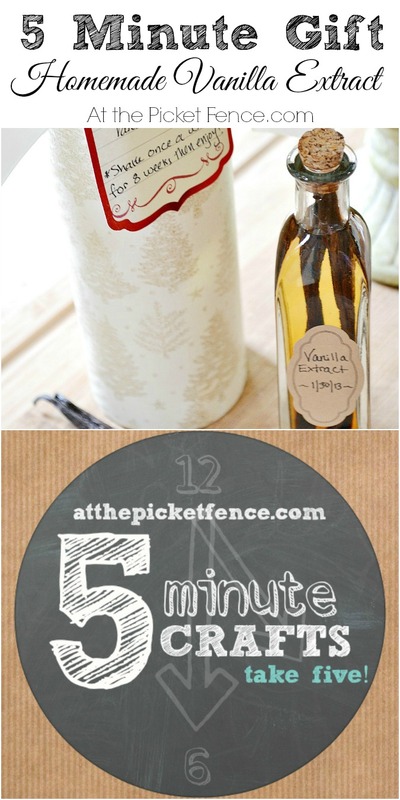 A little tag attached to the front completes the gift and helps explain the process for the Vanilla Extract. Now, who wouldn’t love getting this for Christmas? So, how about you? 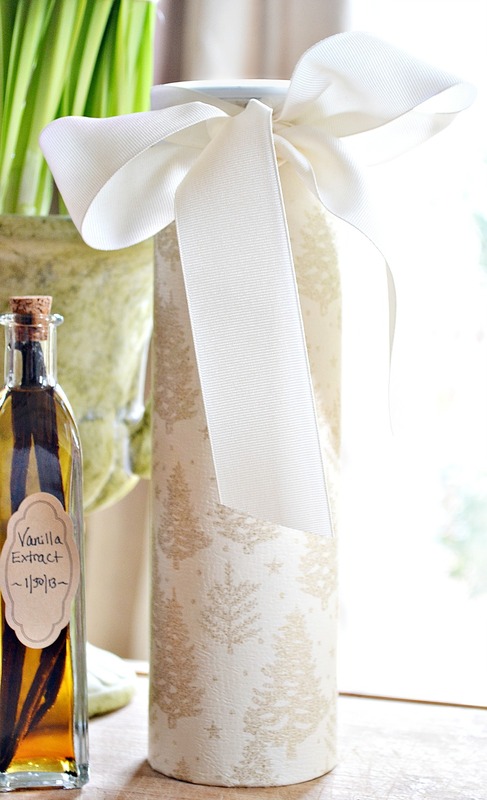 Will you be giving any handmade or homemade gifts this year? 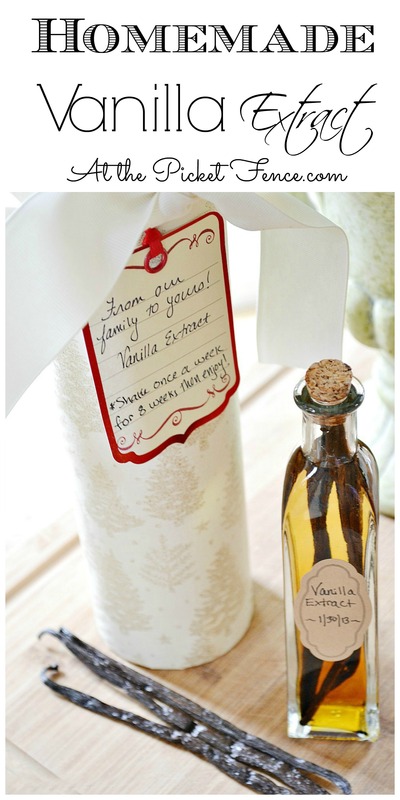 20 Comments on "Homemade Vanilla Extract & Creative Gift Packaging"
fun! where did you find the bottles? That would make a lovely gift indeed, thanks!! Fantastic “extra” gift! 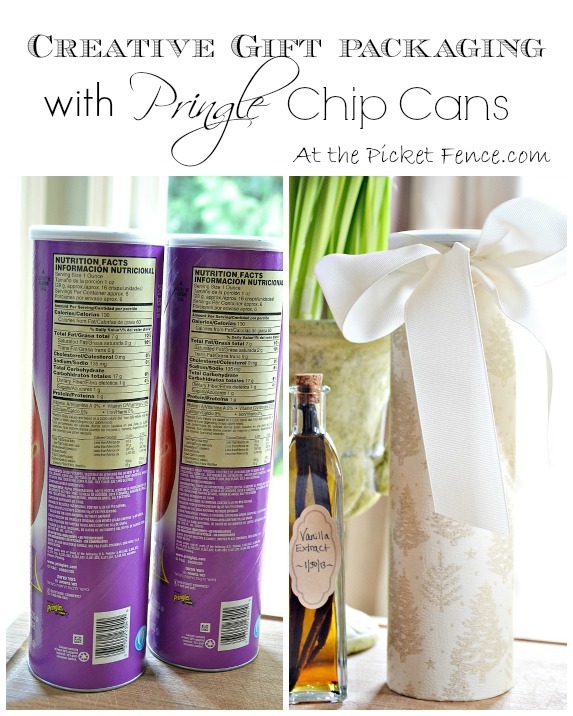 I am also amazed that Pringles last 3 days in your house – more like 1 in mine. I’m intrigued with the vanilla vodka and might have to do some experimenting with finding the right proportions for both ideas! Okay…this is absolutely genius! 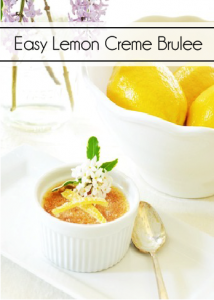 I am soooo going to use this for my cookies…PERFECTION! 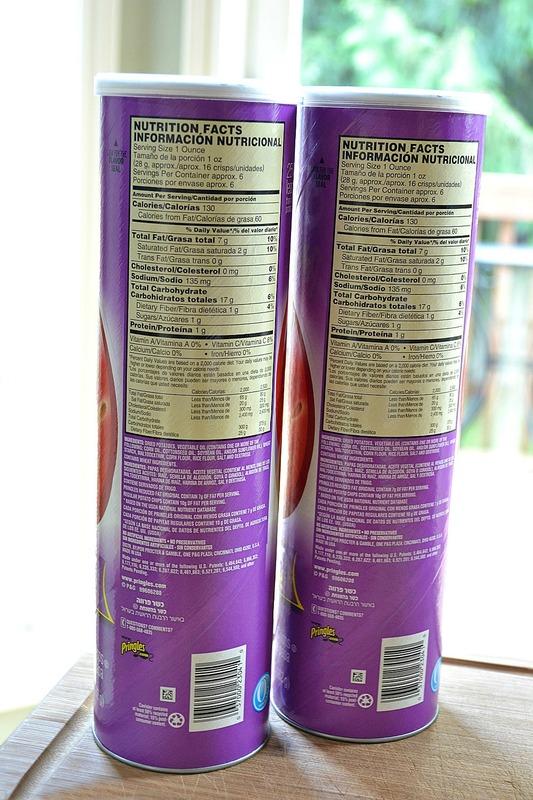 Love the look of the Pringles packaging. What a good idea. I will pin it to my Elegant Gift Wrapping Pinboard. Thank you so much Mimi!! This is a wonderful idea. 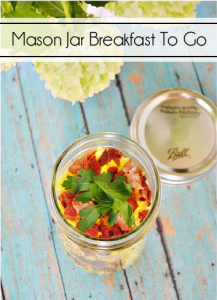 I have a homemade jar sitting in my pantry. YUMMY! But silly me, I have never made it for a gift. I have just the person who would love this! Cross one person off my list! I have made this for christmas presents too, but I use brandy as a base. I LOVE this – I have been stalking homemade vanilla recipes for a year or so now. Love the packaging ideas too. Pinning and adding to my list!! You eat Pringles??? Never find them in my house, guess I’ll have to find some other creative packaging. Thanks for the vanilla recipe. I’m glad to see I’m not the only one that saves empty packages – lol!! Love this idea! Yummy! I recently made some vanilla extract and bought my beans at http://www.beanilla.com. They were very fresh and a GREAT price! Also, a great source of bottles and jars is http://www.specialtybottle.com/?utm_source=msn&utm_medium=cpc&utm_term=bottle.